AN ONLINE coffee store in the city is thriving after its first year in business. 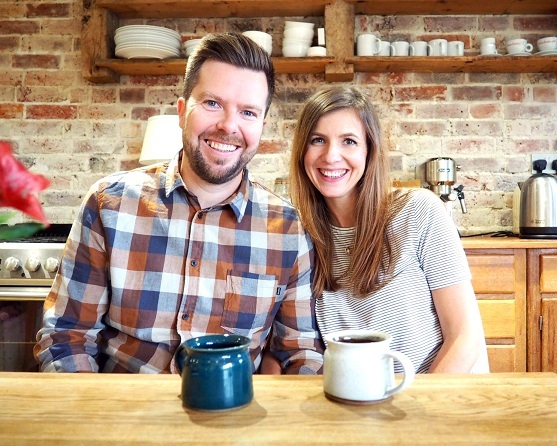 Husband and wife team, Doug and Rachel Ross, from Chichester, set up Square House Coffee Co in November, 2017, and feel their ethical stance sets them apart from the competition. Doug said: “After years of touring the world as a professional DJ and sampling coffee from the four corners, I learned a lot about the coffee culture. The business is online- based and the coffee is all ethically sourced. Doug continued: “We don’t run a physical shop, just an online shop and deliver coffee directly to people’s doors. “We both grew up in families that cared about people and supporting what is right in this world. “Our families showed us how to care/support others and we saw the impact this had which was really inspiring. “We also care about the environment and wanted to play our small part in cutting down on waste and being environmentally friendly. Square House Coffee Co sells three single origin coffees and their house blend in a variety of sizes. The coffee is directly traded to ensure that the workers and plantations get fair wages and are sourced from Brazil, Tanzania and Burundi.